Happy New Year everyone! 2016 was a crazy year that I think most people will be happy to move on from including us. For me 2016 included working, studying, and then more working and studying, with not much time for anything else. It all paid off though, I’m happy to say that in October I finally finished a Bachelor’s of Science Degree in Information Technology. It’s been a long time coming and a long time overdue, but it’s done and now I’m ready to move on to the next chapter. We’ve also been very busy with our little mini-me Immy. She is growing up so fast that we can hardly keep track of the changes. One day it looks like she grew an inch overnight, the next day she goes from saying a few words to complete sentences. 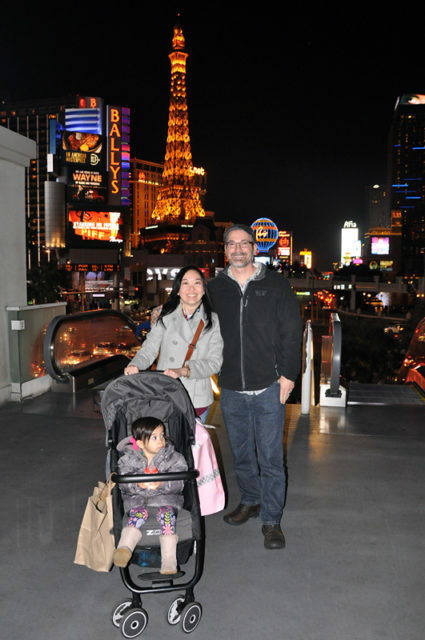 One of her favorite things to say is “Viva Las Vegas.” There is always something new and exciting to look forward to with her, and we have our hands full trying to keep her entertained and engaged in new learning activities. We’ve also moved to a new city- Las Vegas, Nevada. This has been in the works for quite some time, but we didn’t really finalize the decision until just recently and only moved here in December 2016. Everyone wants to know why, so briefly the main reasons are; to be closer to family, cheaper cost of living, to escape the pending doom of the Cascadia subduction zone earthquake, and to create new change in our lives by having a new and exciting city and region to explore. There are some other factors in our exit from Portland, but also many other reasons we didn’t want to leave PDX such as our many friends there, and all the great places and things about Portland and the PNW which we love. Eventually we decided to roll the dice and head for the land of Casinos to see how things shake out. So far we love it in the desert, but of course we haven’t endured the 100+ degree temps every day for an entire summer so we’ll see how that goes. We may be here long term, we may not, but we are excited about experiencing everything this area has to offer, and always open to new possibilities. In 2017 we plan to do a lot of regional travel and maybe a couple trips further abroad. Once we get established here I hope to spend a little more time updating the site, maybe start blogging again, and taking more pictures of all this awesome desert landscape scenery that is surrounding us. For all of you out there we hope you have a fantastic 2017 and if you ever make it to Vegas be sure to look us up. Cheers!